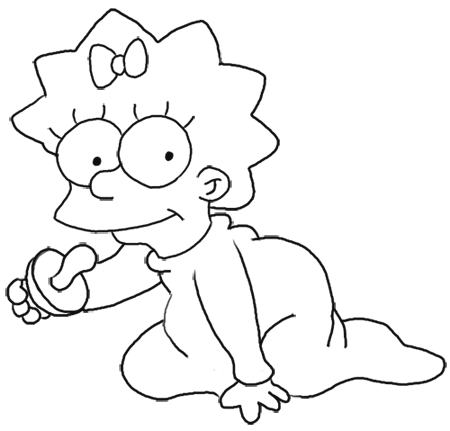 The above picture of a cartoon Maggie Simpson from The Simpsons is what we will be drawing step by step today. Find this drawing tutorial below. Get out a piece of paper, a pencil, and a black marker. Good luck. First draw a circle for Maggie’s eye. 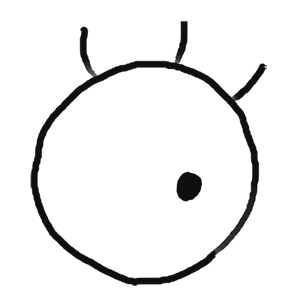 Then draw a black dot towards the right of the circle for Maggie’s pupil. Then draw 3 curved lines at the top of the eye for Maggie’s eyelashes. 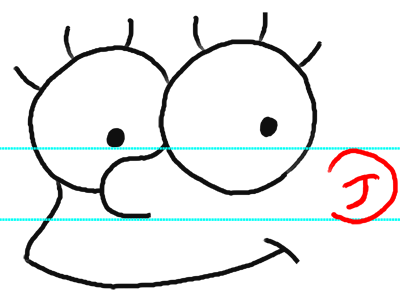 I drew the blue line to show you where to place Maggie’s nose. 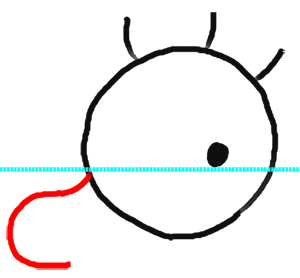 I drew a horizontal blue line (you don’t have to draw this line) to show you where to start Maggie’s nose which can be drawn as a letter ‘c’ like shape. 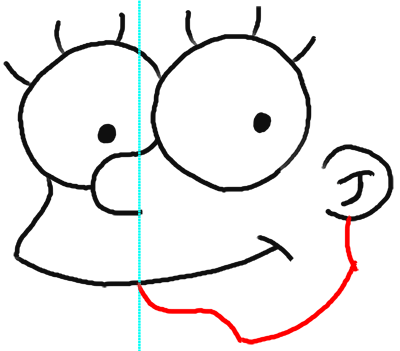 I think it is amazing how much this looks like Lisa Simpson so far, but don’t worry it will be Maggie. Now draw Maggie’s left eye, which is a bit lower than the right eye we drew first. 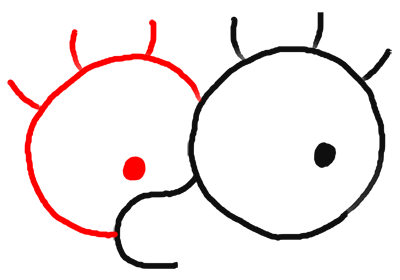 Now draw a horizontal line across the bottom and top of Maggie’s nose. Then you will know where to draw Maggie’s ear. Draw a backwards letter ‘c’ like shape for the ear and draw a capital letter ‘J’ like shape in the ear. 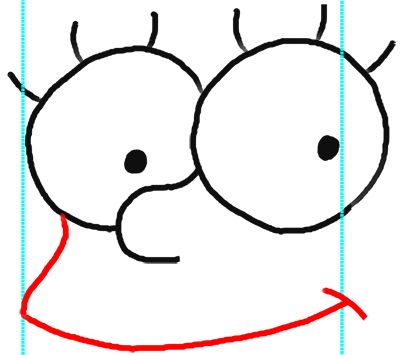 Now draw a vertical line from the bottom of Maggie’s nose…this is where you should place her bottom lip.